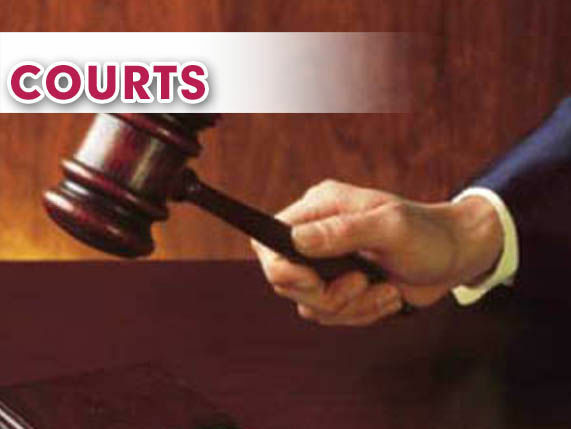 McALLEN — A woman who stole more than $1 million from her employer over the course of a decade was sentenced to more than two years in prison and ordered to pay back the money she stole. U.S. District Judge Micaela Alvarez sentenced Jill Marie Myers to 28 months in prison Wednesday morning, nearly 18 months after she pleaded guilty to a federal bank charge. If Myers cannot pay back the amount, “the United States will seek to forfeit any other property of the defendant up to the total value of the property subject to forfeiture,” court records show. In addition to the prison time, Myers was ordered to pay back $1.25 million in restitution and will have to remain under court supervision for two years upon completion of her prison term. The government alleges that Myers, 44, stole $1.25 million while working as a bank teller with First National Bank, located in Edinburg, and later with PlainsCapital Bank, when it bought First National Bank, the complaint states. Prosecutors alleged the McAllen woman transferred more than $1 million in funds during the course of a 10-year span, beginning in June 2004 and ending in June 2014, court records show. The money was transferred from the personal bank accounts of the First National Bank’s clients, to personal and business accounts controlled by Myers. Myers admitted to falsifying bank ledger entries, in order to create false cash-out credits for $500,000 and $750,000, “along with corresponding false general ledger debits, when in truth and in fact, (Myers) knew that the entries were false and fictitious,” the complaint states. Despite being filed as different federal cases, implicated in the scheme to defraud the bank was Myers’ co-worker, Cynthia Luna-Rodriguez, who was charged with six counts of bank fraud, one count of embezzlement, and one count of making false, fictitious bank entries, according to court records. According to the complaint filed against Luna-Rodriguez, the Pharr woman was involved in the scheme beginning approximately two years after Myers’ activity began — between January 2006 to about August 2014. Luna-Rodriguez pleaded guilty to three charges in late January — two counts of bank fraud and one count of embezzlement. In exchange, the government agreed to dismiss four counts of bank fraud and one count of making false, fictitious bank entry, court records show. Luna-Rodriguez is due back in court for her sentencing hearing June 29, court notes show. After the hearing, Myers’ attorney, Edinburg-based O. Rene Flores, declined to comment on the specifics of the case because of the pending sentencing for Luna-Rodriguez, but said Myers was moving on. Myers, who remains free on a bond, was not provided with a date for when she’s expected to surrender and begin her prison sentence.